Even though it’s on an astronomical timeline, a close intergalactic neighbour of ours known as the Small Magellanic Cloud (SMC) is slowly dying. The SMC (named after famous Portuguese explorer Ferdinand Magellan) is about 200,000 light years away, and is one of the furthest objects viewable in our skies with the naked eye. 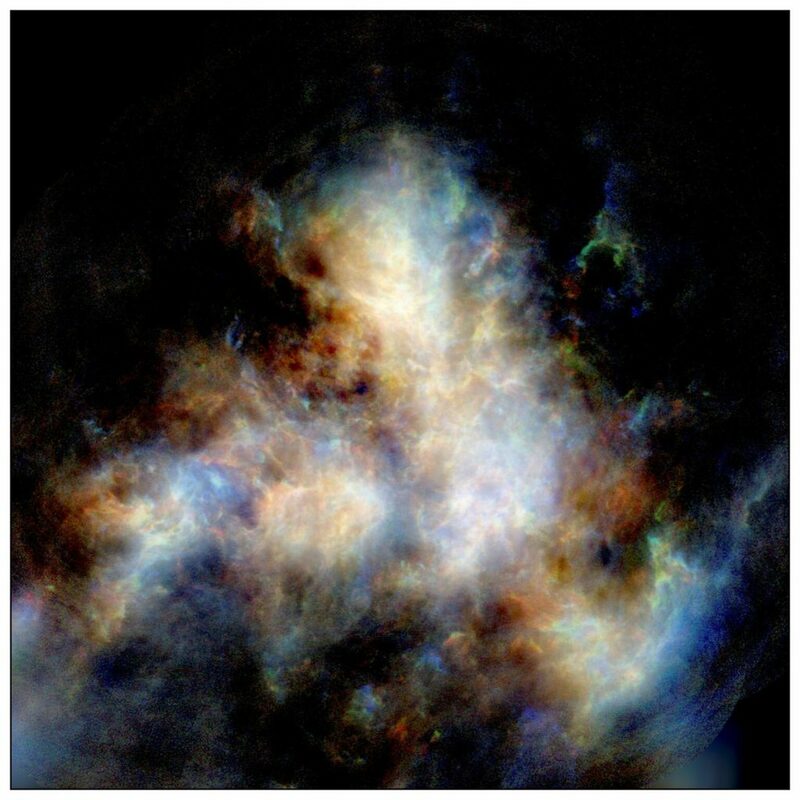 Astronomers from the Australian National University (ANU) and our own team have used our powerful Australian SKA Pathfinder (ASKAP) radio telescope array to capture images of the dwarf galaxy, observing a powerful outflowing of hydrogen gas from it. Hydrogen is the most abundant element in the Universe, and is the main ingredient of stars. But for every Sun sized star that the SMC makes, it loses up to 10 times that amount of this star-forming gas due to its (comparatively) weaker gravitational fields. If the SMC loses all its hydrogen it will eventually lose its ability to create new stars, slowly but surely fading into oblivion. Thankfully, we’re not talking a Macauley Caulkin post-Richie Rich timeline here: astronomers say the process will take billions of years. And it’s not all doom and gloom. This observation has helped confirm simulations developed by theorists on how small galaxies like the SMC might evolve. Lead researcher Professor Naomi McClure-Griffiths from ANU said the discovery, which is part of a project that investigates the evolution of galaxies, provided the first clear observational measurement of the amount of mass lost from a dwarf galaxy. Astronomers expect the SMC will ultimately be gobbled up by our own Milky Way. Fabulous work. This image is now my new screen saver!